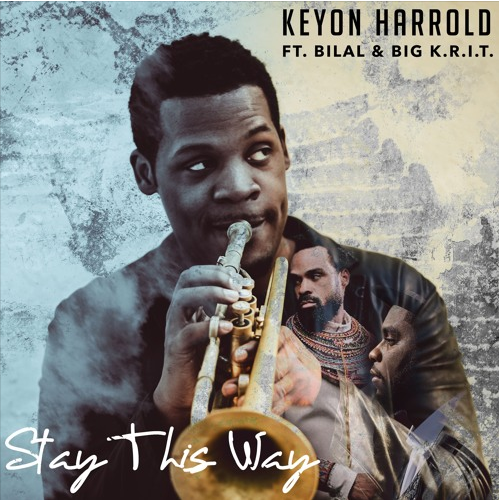 Home>New Songs>Keyon Harrold Songs> Keyon Harrold - Stay This Way Feat. Bilal & Big K.R.I.T. Trumpeter,composer and producer Keyon Harrold's first single from an upcoming album has just hit the Internet. On "Stay This Way," the trumpet player shows off his incredible skills complemented by Bilal's vocals and Big K.R.I.T. 's rhymes. The track feels like the fusion of hip hop, R&B and jazz. The musician, who has played with JAY Z, D’Angelo and Erykah Badu, shows his mastery near the end of this track. The music is atmospheric and relates well to the guests artists words. It's nostalgic to the point of reminding you of some melody you can quite remember. It's like a long lost love. Listen to "Stay This Way" below. SONGS Keyon Harrold - Stay This Way Feat. Bilal & Big K.R.I.T.